Industrial users avoid using of plastics that have low durability such as the plague. However, with the discovery of engineers from SUTD and MIT, a 3D printable polymer material can already be used for different applications. 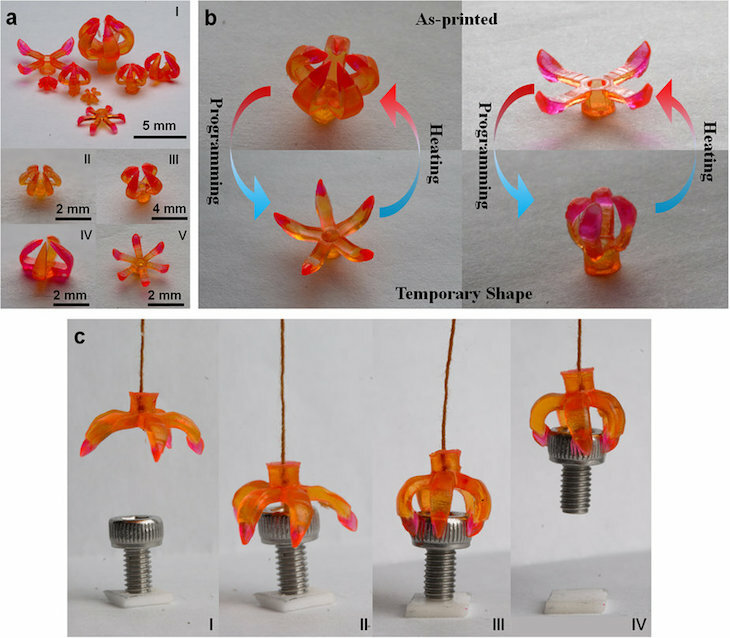 The 3D printable polymer is responsive to heat wherein it can go back to its original shape even if you expose it to intense heat, extreme pressure, and have twisted it into different shapes. In just a matter of seconds, the 3D printed objects can go back to its original form once they have reached a certain temperature. 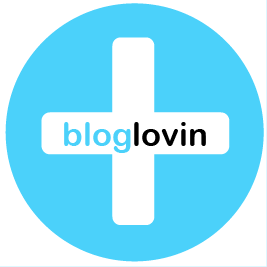 It opens a great opportunity on how 3D printing can be applied. The researchers are now looking forward on how they can use the technology in solar panel tracking solutions and controlled drug delivery. This can be the start of 3D printing materials that can be transformed into different shapes under definite conditions. Like for example, 3D printed plastic seal that can be opened and also closes when water or pressure is applied. As a matter of fact, another team of researchers from MIT have used the same principles to 3D printed phones that are self-assembled. 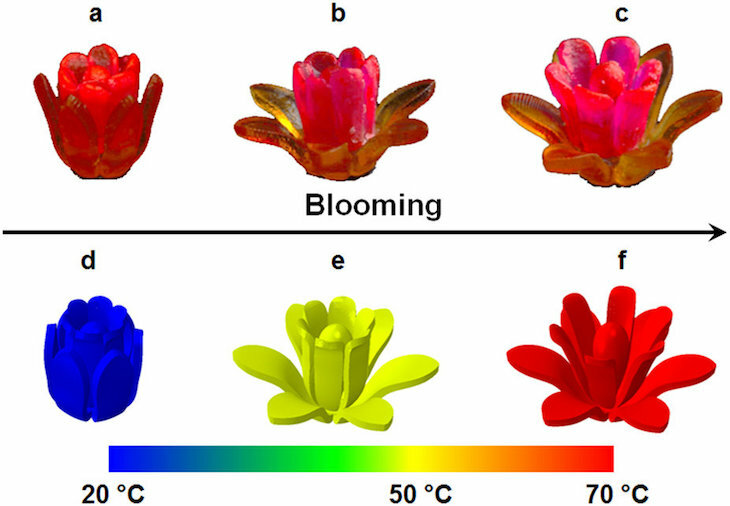 The newly invented material was already published in the journal Nature wherein co-author Nicholas X. Fang and the associate professor from MIT explained that the materials can transform into different shapes when exposed to certain temperatures. These are suitable for soft actuators wherein the solar panels are turned toward the sun and also for drug capsules that release its components when the temperature of the body increases. 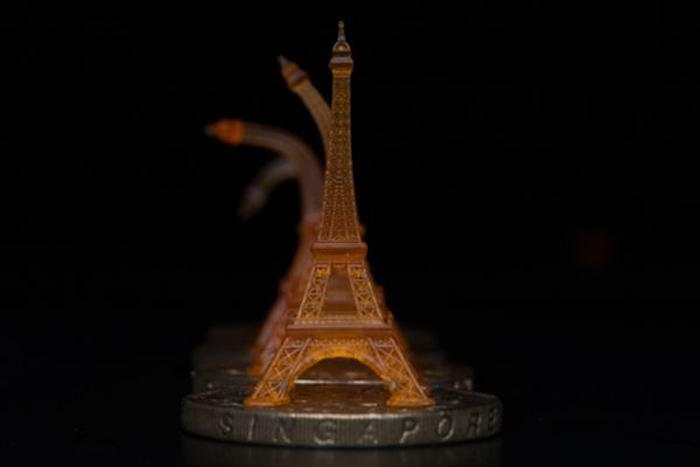 According to Qi “Kevin” Ge assitant professor from SUTD and Howon Lee assistant professor from Rutgers University, the 4D printing principles allow the shaped-memory polymers to stretch up to 10 times larger. The 4D principles can be very useful because it shows how you can transform the materials under low and high temperature. Knowing that you need to create the materials into smaller dimensions in order for it to response quickly, Fang and his team created a solution on how they can possibly make this happen. Through microstereolithography, they can already 3D print materials faster with a better structure. However, Shaochen Chen, a nano-engineering professor in the University of California explains that this process is quite advanced compared to the other forms of 3D printing. So far, they have created a soft and rubbery gripper that they can use to pick very small materials like a small bolt or fish eggs. This has a firm grip wherein the claws can open when exposed to a certain temperature. If you will place it in a warm environment, the claw will close so it can grab whatever materials below it. Fang together with his team is hoping to discover other materials that can react to different temperatures. They can provide more demonstrations on how 3D printing is applied to the creation of new materials. Though there are still lots of things that should be done, the invention of 3D printed plastics will become very useful in different applications in the future.